KTM Duke 125 follows the design language of the new KTM Duke 390. 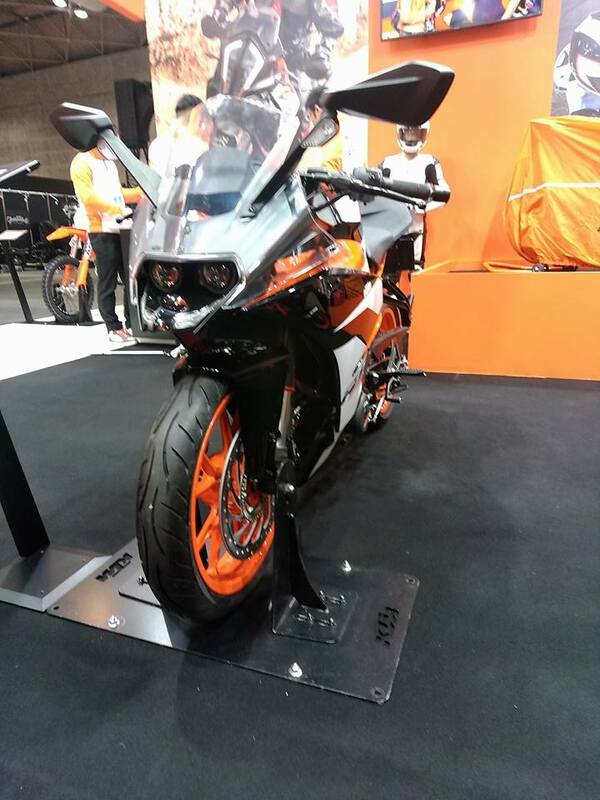 At the Osaka Motorcycle Show 2017, KTM showcased the Duke 125 and RC390. Both the motorcycles are manufactured in India and exported to the world. The KTM Duke 125 follows the styling of the KTm Duke 390 and gets a 124.7 cc mill capable of producing 15 hp of power and 12 NM of torque. The KTM Duke 125 gets LED headlamp like the Duke 390 with disc brakes all around. Powering the bike is a 124.7 cc mill coupled to a 6-speed gearbox. The fuel injected engine is capable of producing 15 hp of maximum power at 10,000 rpm and 12 Nm of peak torque at 7,500 rpm. The bike tips the scales at 137 kg (dry) and has a ground clearance of 185 mm. Brakes include a 300 mm disc in the front and a 230 mm disc in the rear. ABS is standard. 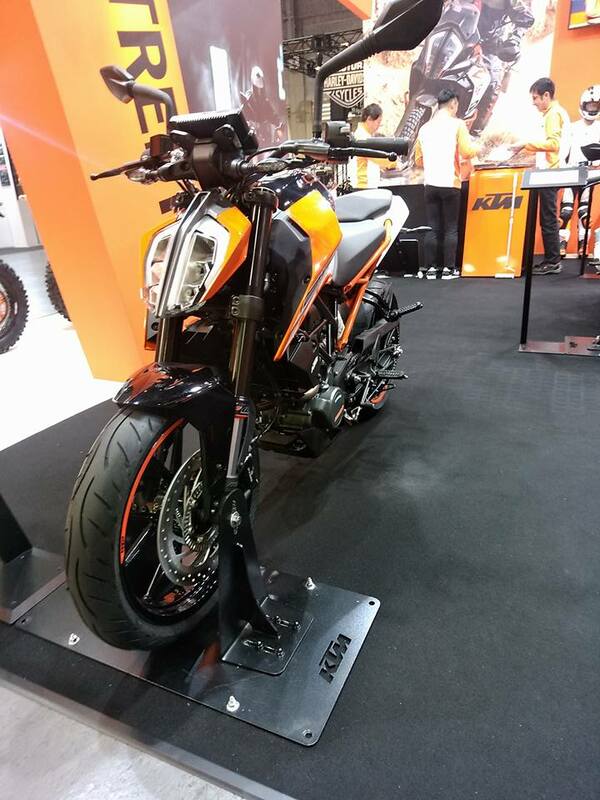 The 2017 KTM Duke 125 gets a larger 13.4-litre fuel tank and a new bolt-on subframe as seen in the bigger 390. The bike is suspended over 43 mm upside down front forks and a monoshock in the rear (both by WP). It even gets the swanky new TFT display. The KTM RC390 gets updated graphics, larger rear view mirrors, ride by wire and a bigger front disc. The 2017 KTM RC390 gets a side mounted canister exhaust and a new paint scheme with updated graphics. Powering the bike is a 373.2 cc single cylinder mill coupled to a 6-speed gearbox and a slipper clutch. The engine is capable of producing 44 hp of maximum power at 9,500 rpm and 35 Nm of peak torque at 7,250 rpm. The new 2017 KTM RC390 tips the scales at 147 kg (dry) and has a ground clearance of 178.5 mm. The brakes include a larger 320 mm disc up front and a 230 mm unit in the rear with standard ABS. the fuel tank can store 10-litre of petrol. The bike gets ride by wire, adjustable front brake lever & clutch lever, and larger rear view mirrors.